Designed by Seattle design studio Graypants. 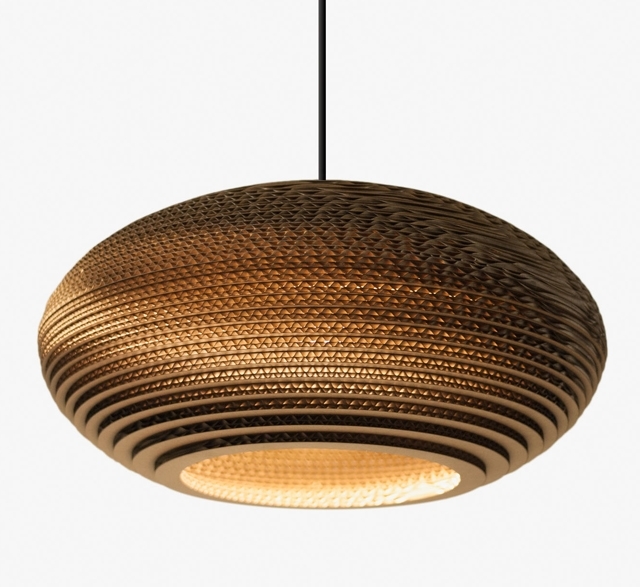 Handcrafted from recycled cardboard, the Disc pendant light is precision cut with a laser cutter and constructed by hand using non-toxic adhesive. 24 inch diameter also available.